The fight for Little Round Top on July 2, 1863, is forever etched in the annals of America's Civil War. The heroic defense of the high ground by Joshua Chamberlain and the men of the 20th Maine is one of the most famous incidents in American history, made more so by its powerful depiction in the film Gettysburg. There are numerous written accounts of the Union defenders on Little Round Top but considerably less has been written - up to now -about the Confederate attackers who charged up the hill and faced an even more desperate challenge than those who defended it. 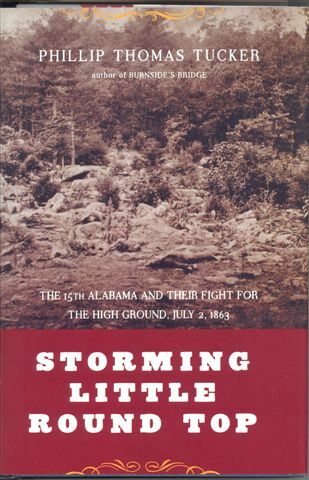 Unique and colorful, this new study brings to life the men and officers of the 15th Alabama who gathered that day to assault the Union flank. The lively narration of this dramatic engagement is both detailed and authoritative. Veteran Civil War author Phillip Tucker colorfully evokes the men and the times - from descriptions of the Alabamans' Chattahoochee River valley home to sketches of the lives and personalities of William C. Oates and other key members of the regiment. Phillip Thomas Tucker is the chief historian of the 81st Training Wing at Keesler Air Force Base in Biloxi, Mississippi. He is the author of The Confederacy's Fighting Chaplain, winner of the Douglas Southall Freeman Award; and Burnside's Bridge, a History Book Club selection. Finally the story of Little Round Top has been told from a southern point of view. My first experience with Little Round Top occurred many years ago as I stood on this mountain top in shock, gazing down at the impossible battle conditions of 02 July 1863. From that day on I've had an insatiable desire to know more. The author gives credit to southern generals and soldiers alike in a much needed account of the southern experience at Gettysburg. Southern Alabama is well represented here. 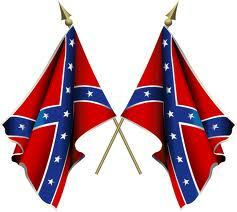 The history is well researched and agrees with other books I've read on Gettysburg. Only this book digs deeper into the southern experience like no other I've read. The book's expert historical account from the southern point of view is the book's most commanding attribute. Colonel William Calvin Oates is the hero of this book. Oates joined the Confederate States Army in 1861 and eventually became the commander of the 15th Alabama infantry regiment in the spring of 1863. He fought in the Battle of Gettysburg, leading his troops in a series of charges on Little Round Top, where his brother John perished. This became one of Oates's significant memory of the war, as he believed that if his regiment had been able to take Little Round Top, the Army of Northern Virginia might have won the battle, and possibly marched on to take Washington, D.C. Oates later stated that if even a single additional Confederate regiment had joined the assault, the attack could have succeeded, turning the Union's flank and threatening the entire Army of the Potomac. Oates participated in the battles of Chickamauga, the Wilderness, and Spotsylvania Court House. After transferring to the 48th Alabama, he was wounded near Petersburg, Virginia, losing his right arm, which ended his active service. Oates was elected governor of Alabama in 1894. President William McKinley commissioned Oates as a brigadier general in 1898 and he served in the Spanish American War. Yankee lovers, members of the Lincoln Cult, those who adore the movie, "The Battle of Gettysburg, and the many like-minded will not like this book. The author has the audacity to question Joshua Chamberlain's tactics and his many self serving articles, books, and acclamations, that Chamberlain wrote about himself for many years after the Battle of Gettysburg. The lack of maps as some reviewers claim is a hindrance is misplaced. A minimal understanding of the Gettysburg battlefield is all that's needed to understand the battle for Little Round Top. Me thinks that is only an excuse to bash a very good book. I liked it so much, I will be purchasing copies for Christmas presents.